FARMHOUSE FRESH !! This beautiful one of a kind 2015, 3 bedroom, 2 bath pool home is quietly nestled on 2.44 acres. Bring your farm animals, as property has been cross fenced and has a small barn. 20x30 workshop. 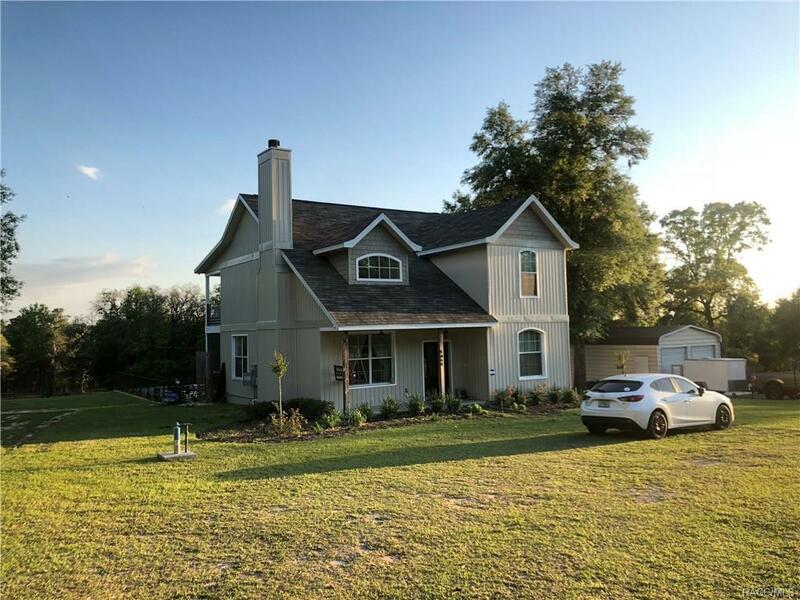 Home features living room,dining room kitchen,eat at island, upgraded wood cabinets, gorgeous hardwood flooring, fire-place, & large indoor laundry room and laundry sink. Sprinkler system with timer. Water softener. Upstairs features LARGE master suite, jetted tub, awesome walk-in shower with dual shower heads, double vanities, and his & her walk in closets. Awesome HUGE loft area for entertaining with large under roof balcony on 2nd floor to enjoy the view. Front and back under roof porches on ground level as well. Very cool beach entrance pool with Jets & Bubblers. Outdoor commercial grade speaker system around pool. Board on Board fenced property. No HOA fees or Deed Restrictions. Very close to shopping and medical facilities. A MUST SEE. It's gorgeous!! Directions: Hwy 486 East. Right On Page Street. Right On Camola Terrace. Right On Ray Street. Home Is On Right.